Some of the most popular college majors that Americans take can prepare them for a career in law. From political science to humanities, law schools welcome students from college courses. And, it seems like many people are taking advantage of this. The Law School Admission Council (LSAC) reported that 60,401 people applied for law school this year, an 8 percent increase from last year’s 55,580. Pay attention to the day to day things that you enjoy doing. Do you like negotiating? Do you enjoy writing? Maybe you’re great at planning oral arguments? If you’re pursuing a career in law, you can expect to work long hours, so it’s important that you at least enjoy what you’re doing. Of course, money shouldn’t be the sole deciding factor for your choice of career path. Still, it’s a fact that some careers pay more than others. If you’re motivated by money, trial lawyers are among the highest-paid legal professionals. Similarly, intellectual property lawyers, those who manage copyrights and trademarks, make a lot of money. This is especially true today when technology advances at a fast pace. On the other hand, lawyers in public service jobs, such as public defenders and Legal Aid attorneys, have some of the lowest salaries in the legal field. Interestingly, a study published in the George Washington Law Review revealed that lawyers in low-income jobs are happier than those at high-paying positions. Different law practices operate in different settings. You can be a solo practitioner at your own firm or work with hundreds of other attorneys at large law firms. There’s also the option of working for nonprofit organizations or for large federal government agencies. Figure out where you can see yourself happily working. The setting of your job is almost as important as the decision of what you want to do. Knowing where you want to work can help you thrive in your career. 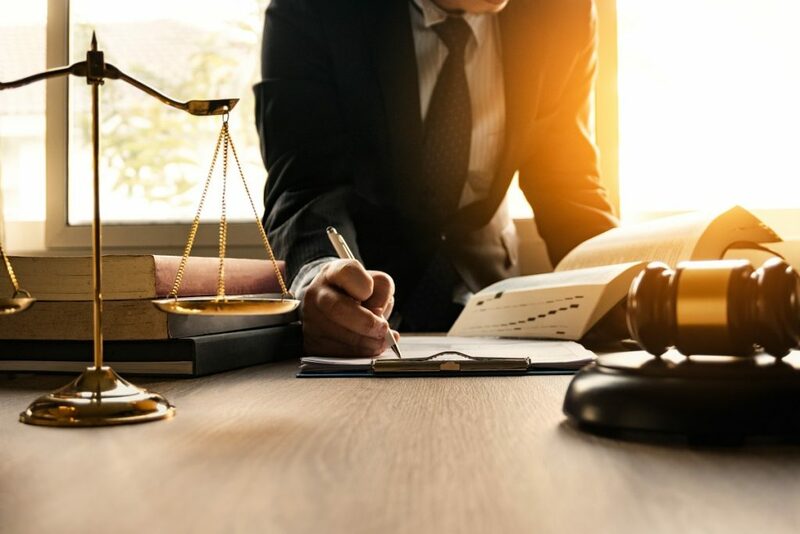 As a lawyer, much of your time will involve staying at your desk, where you will be churning out work, or in the courtroom, representing a client or attending a hearing. If you are more inclined to a desk job, transactional law, involving corporate work like business deals and taxes, might be for you. But, if you need constant action, defense law, with its whir of court activity and regular interaction with different people, may be your best bet. Choosing a career path is one of the most important decisions you have to make, especially when you’re in the legal field. A career in law requires three more years of study and passing the bar exam. The effort you put into becoming a lawyer, however, could very well be rewarded with a profession you’ll not only enjoy but also excel at.